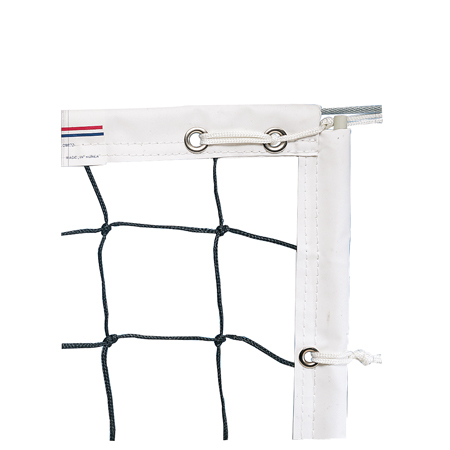 Official Olympic power volleyball net. 3 mm knotless nylon netting. 2.5" white headband top and bottom. Vinyl coated steel cable top and bottom. Side pockets and dowels. 32' X 3". Indicates that item is available through Champion.